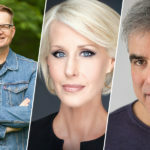 In this episode of This is the Author meet Jonathan Haidt, co-author of The Coddling of the American Mind, Michelle LeClaire, author of Perfectly Clear, and Carey Nieuwhof, author of Didn’t See It Coming. 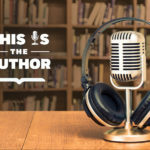 Hear the passion behind each author’s personal journey to the mic and what inspired them; be inspired by the strength and self-love required to escape from a cult; and learn what it takes to be a good leader. Plus, find out which author had trouble pronouncing ramen noodles!